Ronald A. Witmer has concentrated his legal practice in the areas of divorce and other family law matters. He also serves as trustee of various trusts and has represented social service agencies and mental health professionals in litigation matters. Following his admission to the Massachusetts Bar in 1975, he represented individuals in divorce cases and conducted other civil litigation for fifteen years at the Boston firm now known as WilmerHale. As a senior partner in the Litigation Department, he served as chairperson of that firm's Domestic Relations Practice Group. 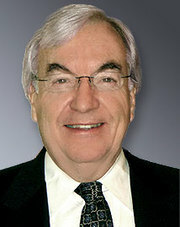 In January 1991, he established the predecessor firm to Witmer, Karp, Warner & Ryan LLP. Born in Jackson, Michigan, Mr. Witmer earned a B.A. at Albion College and an M.Div. degree at Union Theological Seminary in New York City. He received a J.D. from Northeastern University School of Law and is admitted to practice in the state and federal courts of Massachusetts. Mr. Witmer has engaged in a wide range of legal and community activities during his legal career. He regularly has taught in the fields of matrimonial law and legal ethics for Massachusetts Continuing Legal Education, Inc. (MCLE), including a biannual course on legal ethics sponsored jointly by MCLE and the Massachusetts Board of Bar Overseers. As a Fellow of the American Academy of Matrimonial Lawyers, he held every office of the Massachusetts Chapter, including that of President. He was a founding member and past President of the Massachusetts Family and Probate American Inn of Court. Mr. Witmer was named as one of the top one hundred Massachusetts Super Lawyers in the November 2005 and 2008 issues of Boston Magazine, was in the top 100 New England and Massachusetts Super Lawyers in 2009 and has been listed in The Best Lawyers In America since 1989. In addition, he has the highest possible peer review rating (AV-Preeminent) from Martindale-Hubbell for legal ability and ethical standards. Mr. Witmer has joined other lawyers in teaching trial and appellate advocacy skills to young attorneys. He served as a member of the faculty in seminars and workshops sponsored by Harvard Law School, Northeastern University School of Law, Suffolk Law School, MCLE and various bar associations. He also served as a judge in the Ames Moot Court Competition at Harvard Law School and the ABA National Appellate Advocacy Competition. He is a founding member and currently the President of the New England Personality Disorder Association, Inc., a nonprofit organization which provides support and education to those who suffer from such disorders, their family members, and other loved ones. In addition to his work in the trial courts, Mr Witmer has won a number of significant cases on appeal, including Bahceli v. Bahceli, 10 Mass.App.Ct. 446 (1980) (with James D. St. Clair, Esquire), Hunnewell v. Hunnewell, 15 Mass.App.Ct. 358 (1983), Association for Reduction of Violence v. Hall, 734 F.2d 63 (1st Cir. 1984) and P.W. v. M.S., 67 Mass.App.Ct. 779 (2006). Mr. Witmer believes that working with people who are involved in divorces, custody disputes and other family law matters offers attorneys a unique opportunity to help people address their personal and legal crises with dignity and assist them in remaining financially viable as they enter a new phase of life.